This weekend the long awaited Dragon Ball Super Special aired and the reviews are nearly unanimous; Dragon Ball Super has not been this good in a long time. I for one totally agree, this may be my favorite episode of the series since the incredible Episode 39 when Super Saiyan Blue Kaiō-Ken was first introduced. In short the episode hit all the right notes all the way through its entire run time. That being said what has everyone talking is quite clearly the “Ultra Instinct” state Goku achieved. As always with a new form being revealed in Dragon Ball many people have thoughts and theories. Most of which will likely be wrong given limited information present at the current moment and the confusing way these forms seem to pop up in Super. Luckily unlike Super Saiyan Rage which Future Trunks used against Goku Black in the previous arc this state has some narrative backing already. Currently called “Ultra Instinct” I will refer to it as such. However there is a chance this is a translation error. I think this is possible as the Kaiō-Ken was called the “World Kings Fist” in these episodes. The Kaiō-Ken being both the Japanese and English official name of the technique, while “World Kings Fist” is its literal Japanese translation. For now I will continue to use “Ultra Instinct” however it may yet change kind of like how Super Saiyan God Super Saiyan was changed to Super Saiyan Blue with subsequent releases. On to the substance of the subject lets dive in and see what is the deal with “Ultra Instinct”? The first is at this juncture it does not appear that “Ultra Instinct” is indeed a transformation in the traditional sense we see in Dragon Ball. This is because all the hallmarks of a transformation are not present, namely there is virtually no physical change to Goku. Save his iris’ turning a silverish hue and his hair becoming a bit more solid looking. As it stands “Ultra Instinct” has far more in common with Kaiō-Ken and other techniques rather then transformations. This is further bolstered by the fact transformations are always species specific affairs genetically encoded in the bodies of the user, such as the Super Saiyan family of transformations and Freiza’s various forms as well. This is not the case with “Ultra Instinct”. “Ultra Instinct” is clearly not a unique transformation as all the Gods of Destruction, Tenshi-Angels, and most the Universes Kaiō-shin are aware of it. Save of course our friendly but now quite clearly incompetent Universe Seven Supreme Kai. In fact this is not the first time in the series that “Ultra Instinct” or Migatte no Gokui was first introduced into the series. That was done all the way back during the Resurrection F arc as Goku and Vegeta train with Whis. If one recalls, Whis instructed Goku and Vegeta both to fight without thinking. To move instinctively, as the time it takes for ones body to react to the mind are precious moments when fighting at the very top of mortal (and godly) ability. This however is an incredibly advanced technique as even Beerus himself has not mastered it yet. This is seen in the Dragon Ball Super Manga’s Zen Exhibition match which saw a battle royale between the Gods of Destruction take place. Sort of similar to what was seen during the direct lead in to the Universal Tournament in the anime. Due to everyone blaming Universe 7 for the Tournament of Power most of the Gods of Destruction team up against Beerus. However he is able to dodge and counter their attacks without thinking. Though he eventually is tripped up due to not having perfected the technique. In short at its core “Ultra Instinct” is a form of zen battle focus that removes the limitation of consciousness from a fighter. Instead they rely on their finally honed battle senses to move with no wasted movement. As seen by Whis, Beerus, and now Goku. This being said there are obvious issues with this as compared to what we have seen Goku perform. The first is Goku’s massive increase in speed and strength as well as the intense heat emanating from his body as well as his aura. Everything we have seen of “Ultra Instinct” prior to this special has been a spiritual/mental technique not a physical one as most every other technique in the series has been. What accounts for the difference? Dragon Ball Super leads us to believe this is a byproduct of Goku’s use of the Spirit Bomb. As we know Spirit Bombs can not harm somebody pure of heart such as Goku, hence why Gohan was able to deflect it all the way back in the Saiyan Saga of Z. However with Goku being in Super Saiyan Blue at the time there is an argument he should have been able to be hit by the attack. I make the argument due to Super Saiyan Blue only being achievable through total Ki control, that Blue’s reaction to the Spirit Bomb would not be the same as a true Super Saiyan transformation. 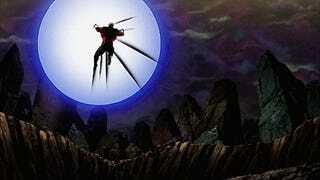 However if one accepts that Goku absorbed the Spirit Bomb due to some strange confluence of events, something we have seen in a Dragon Ball Z film and it served as a temporary power boost that could explain the visual uniqueness of Goku. As well as why even according to the Grand Priest if this new form is even “Ultra Instinct” itself and perhaps something completely unique. This being said if “Ultra Instinct” is indeed what it appears to be based on the Gods and Angels discussion it provides very interesting paths for where Dragon Ball can go. The first is that Dragon Ball has long been focused on the physicality of fighting, while “Ultra Instinct” is oriented towards the spiritual and mental aspects of martial arts. Something actual martial artist stress to be just as important, if not more so then the focus on the physical. Indeed it may yet explain Jiren and the Gods of Destructions overwhelming power. We have long seen Goku and other character (Piccolo most notably) meditating however there has never really been what seems like a tangible boost from it. Techniques like “Ultra Instinct” can provide a new path for further boosts in skill and power as Dragon Ball goes forward and a goal to achieve through focusing the mind. Potentially providing an off ramp for the power escalation issues inherent in the series. Furthermore as we have seen in this arc Dragon Ball Super is going to great lengths to reorient the series away from just the Saiyans. “Ultra Instinct” poses an interesting vehicle to do just that. As it is a technique conceivably able to be learned by anyone there is a chance other characters may one day have time in the sun. Vegeta and Gohan being the prime examples of this but if “Ultra Instinct” is more of a mental challenge Piccolo may yet get some attention. 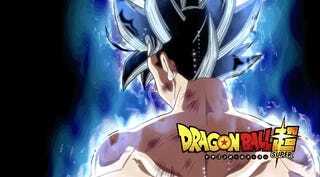 All around “Ultra Instinct” if that is indeed what we saw may provide a welcome change to the formula for Dragon Ball Super. 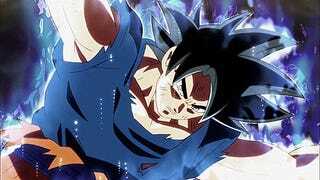 With power levels after decades finally starting to recede into the background Dragon Ball Super may yet step out of the shadow of its predecessor and become its on unique and important part of the Dragon Ball cannon. A true sequel, not just a cliched continuation. Regardless the series remains fun and these episodes show what Dragon Ball is still beloved all these years later.